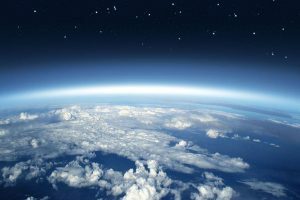 After the alarm was raised in the 1980s, the ozone layer, which up to then had been destroyed by industrial activity, began to improve slightly. However, on the initiative of Emmanuel Mahieu, a researcher at the University of Liege, an international team observed that between 2007 and 2011, the trend of chlorine – the main destructive element affecting the ozone layer – had reversed, showing an increase in the Northern Hemisphere (1). This new imbalance was temporary. Moreover, it was not due to human activity but to an unexpected variation in atmospheric circulation which the researchers were able to model. The observation proves that the recovery of the ozone layer does not follow a neat rectilinear curve in sync with our environmental policies which seem to be working overall. Other factors come into consideration. The study has attracted the interest of the scientific community and has been published in the journal Nature.